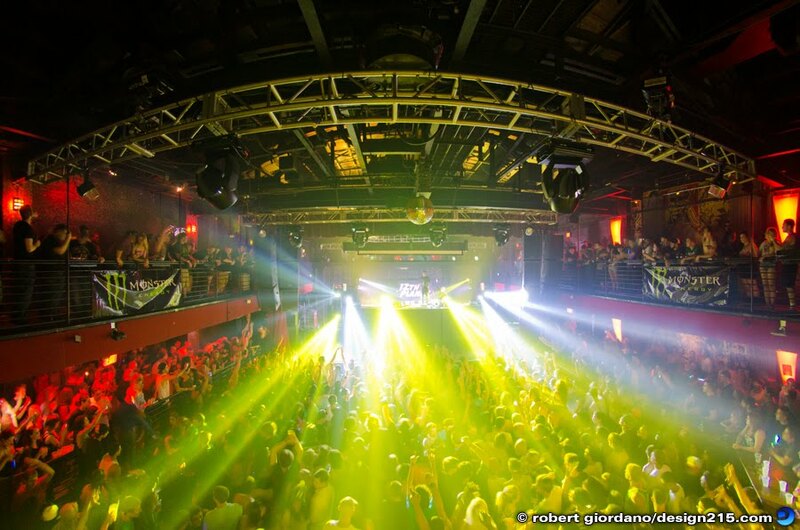 Wandering around downtown Fort Lauderdale, I ended up at Revolution Live for the 12th Planet show. I took this shot with my Nikon D7000 and 10.5mm fisheye lens. This fisheye is becoming one of my favorite lenses. It has a much wider field of view than my 12-24mm f/4.0 and I have several aftermarket plugins for Photoshop that can correct the distortion inherent with fisheye lenses, if I want to do so. The fact that this an f/2.8 lens makes it quite versatile. Nikon D7000 with Nikon 10.5mm f/2.8 fisheye lens. Exposure: f/2.8 1/4s ISO 800. 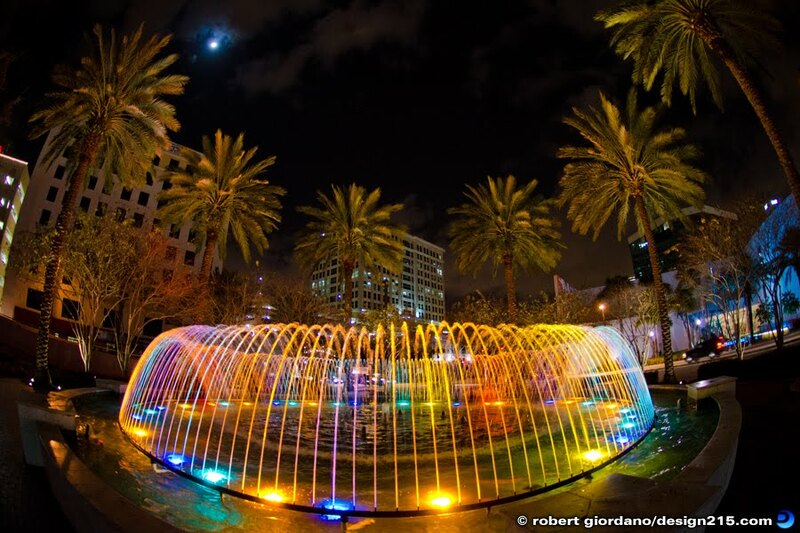 This is the fountain in Bubier Park in Fort Lauderdale, FL. It is located on the corner of Las Olas Blvd. and Andrews Ave. I took this shot with my Nikon 10.5mm Fisheye lens. Even though you might think a fisheye lens has limited uses, I've found that you can correct the "fisheye" distortion using Photoshop's native lens correction in CS5 as well as with several aftermarket plugins. This image has not been corrected and I think the effect is quite nice. Nikon D7000 with Nikon 10.5mm f/2.8 Fisheye Lens. Exposure: f/2.8 1/15 ISO 800. Handheld. 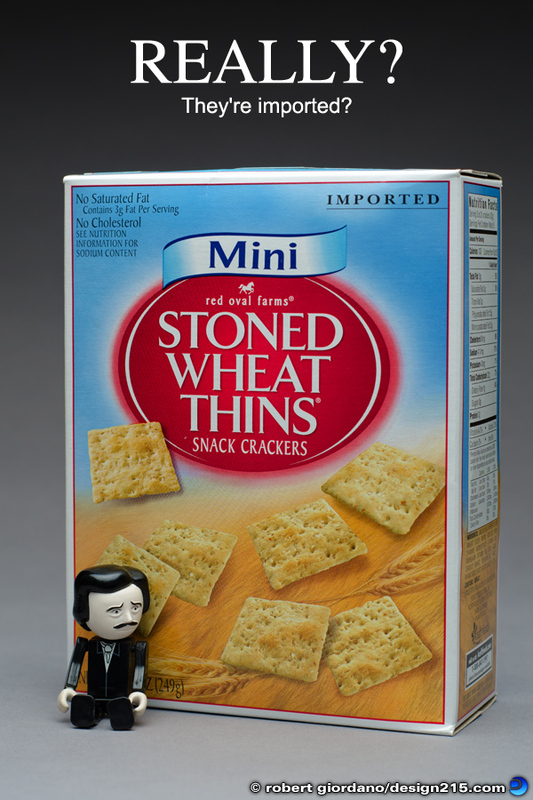 Yes, I thought this was amusing, so I photographed it in my studio. The setup I used for this shot is common for products. The background paper is solid gray but the background gradient results from the light falling off as the background paper bends upward and away from the product. I used a 44" soft box, hanging directly over the product, facing down. The large soft box provides even lighting on all sides with no hard shadows. Because it is facing down, there is no direct light on the background paper behind the product. All other lights in the studio were off so there was no other ambient light. No adjustments were made to this image other than adding the text. This morning I did a shoot for Johnny Rockets in the Sawgrass Mills Mall. 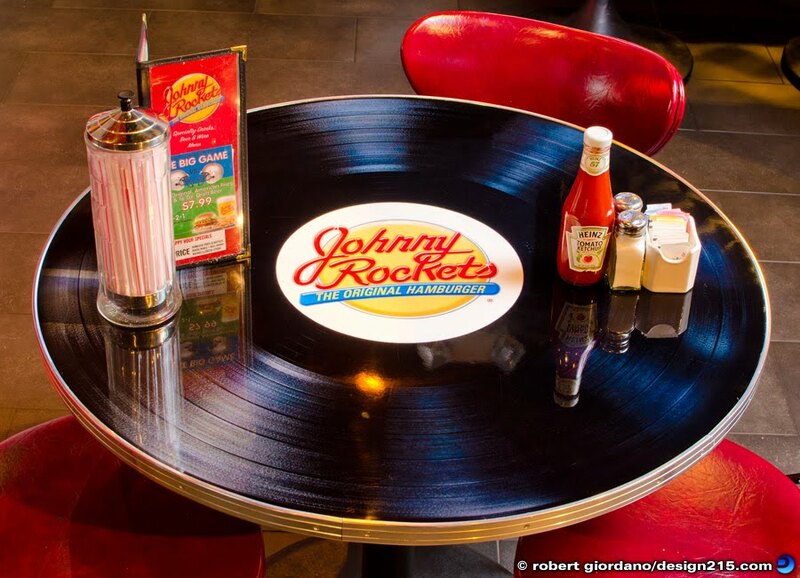 The client wanted overall shots of the restaurant and detail shots of their cool, phonograph record tables. The lighting was a little tricky because of the many existing fixtures in the ceiling of the restaurant. I wanted to combine the ambient light with a light source I could control. I used a Nikon SB-800 strobe on a light stand, with an umbrella. I used a wireless transmitter to trigger the strobe. My goal was to minimize the reflections from the light fixtures in the restaurant, while emphasizing the design of the table. I took pictures of the table from several different angles, with the table empty and as you see it here. I felt the reflections from the items on the table added to the image. The camera was on a tripod so I could use a small aperture, a slow shutter speed, and a low ISO. The small aperture increased the depth of field so the entire table is in focus. The slow shutter speed let me mix the ambient light in the restaurant with the light from my strobe. A low ISO keeps the details sharp and noise to a minimum. The D7000 is really good when it comes to noise however. I probably could have used ISO 400 or 800 without much of a noticeable difference. Nikon D7000 with Nikon 35mm f/1.8 lens. Exposure: f/8 1/2 ISO 200. Nikon SB-800, manual mode.